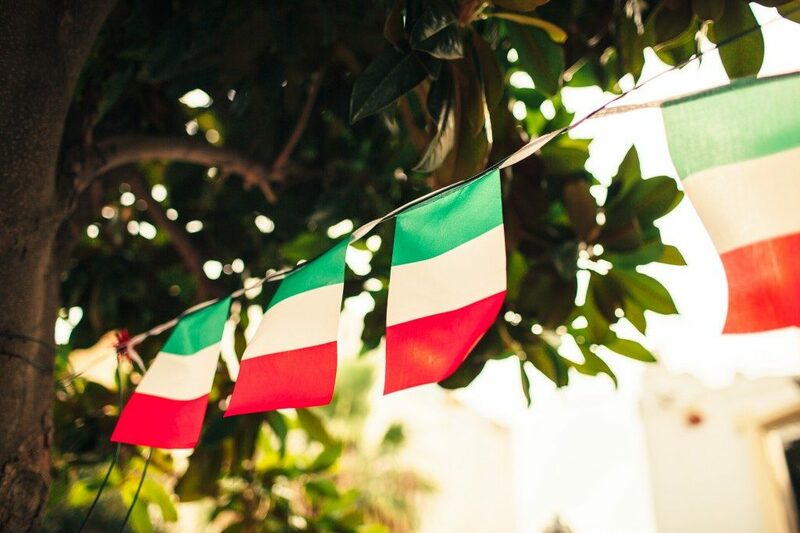 There’s a reason why la vita è bella – life is beautiful – in Italy! In geological terms, Aeolian means carried or produced by the wind, so get carried away and be ready to set sail on what’ll surely be the week of your life. When in Italy, there ain’t no party like a Granita party! A cone of your favourite flavoured crushed ice comes as a godsend once the temperature gauge tops 30 degrees. Granita is Sicilian through and through but you’ve never really tasted it until you’ve had it in the tiny marina town of Portorosa. Another route, another cave. On the way to Salina, stop by Grotta del Cavallo for a swim in a little gem hiding amongst the cliffs. This is Italy’s equivalent to Croatia’s Green Caves, where the waters are warm and the level of good vibes reach level 10. There’s something about the Sicilian port towns that makes you want to Rome around and explore. Salina’s beautiful back streets are the perfect place for that: behind the Italian coffee shops and authentic pizzerias you can find an adorable little church, built in 1733 - it’s definitely worth the cultural detour! Hop in honey, we’re going shopping! Exploring the city is fun, but if you fancy popping into the stores to find that perfect outfit for the White Party, we won't stop you. Shop until you drop is taken very literally here! And remember, on Wednesdays, we wear bikinis. Drop the anchor, jump in the blue crystalline water and take in the views of that mesmerising rock. Lisca Bianca roughly translates to “white bone” - you’ll understand why when you see the solid volcanic stone appearing as a mirage on the surface of the sea. You’re probably familiar with the saying “aperitivo all’italiana”, if not – you’re in for a surprise at Hotel Raya in Panarea. Sicilians take their aperitivo VERY seriously, so don’t miss out on the prosecco, foccacia and stunning views. Warning, big time Insta material here! Stromboli Volcano – nicknamed the “Lighthouse of the Mediterranean” – has been active since the beginning of historical records, which makes it particularly unique. So grab those sneakers and let’s hike this thing! Whether it’s a sunset stroll or, for the more adventurous, a night hike to watch the lava erupt, the views are indisputably breathtaking. And remember: selfie safely folks. Whoever said diamonds are a girl’s best friend obviously never tasted the cannolis at Pasticceria d’Ambra in Lipari. We’d like to say they’re not our favorite thing on earth, except they are, they really really are. Flavours for daaaays. Some of the best wines in Sicily are produced with the grapes from Vulcano island, mostly thanks to its fertile volcanic soils, another bi-product of this are the epic mud baths. We've experienced so much together, I think it's finally safe to say those three words: let’s get dirty. 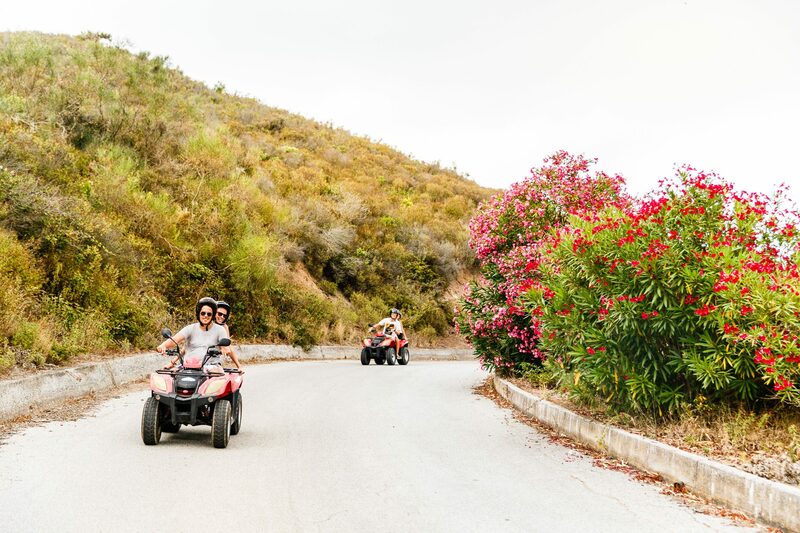 Vespas in Italy are a thing, but when in Vulcano there’s no better way to experience la Dolce Vita by renting four wheelers and buzzing around the island at sunset with the troops. There’s always room for new adventures here, and as an old man once said: Chi vivrà verdà – Who will live, will see. Ciao for now la gente! If you missed Italy this year, make sure you pre-book for next year over here.